As a former collegiate athlete, I’m always up for a new group exercise challenge…especially one that can help me trim down my post college muscle bulk (aka my dang thunder thighs)!!! Peak45 co-owner & my fab friend Kristen Kenney reached out to me about her new venture. I tried it out and was HOOKED!!! This year, I ran my first (and most likely last) marathon in memory of my grandfather. 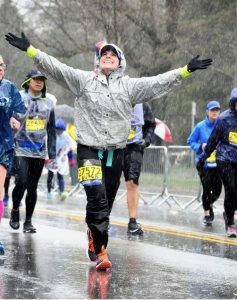 Crossing the Boston Marathon finish line was one of the most exhilarating and exhausting experiences of my life! I am so thankful for my Lagree training because I believe it was the perfect cross training in between the long bouts of running. 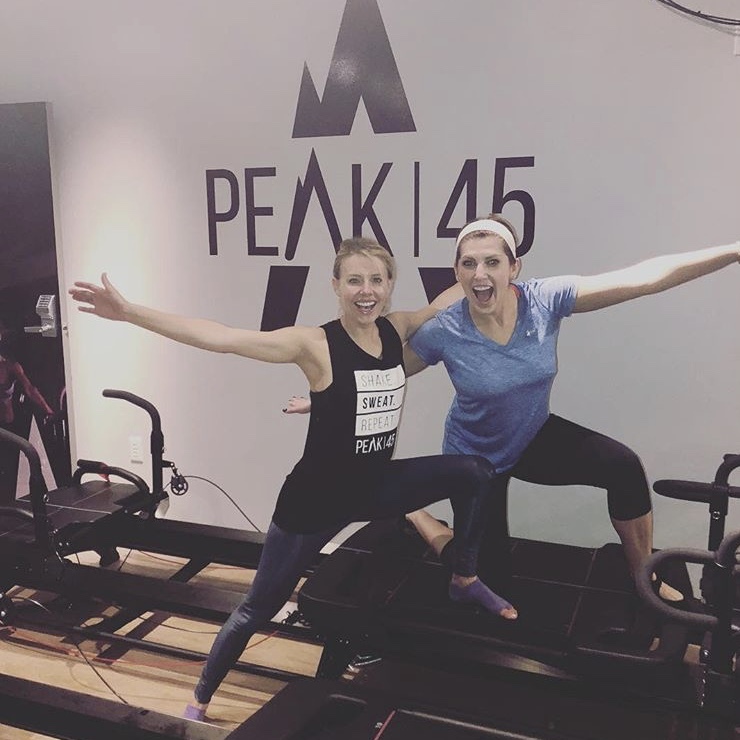 After years of wear and tear on my knees from playing college volleyball, Peak45 allowed me to stretch and strengthen areas that were getting used and abused during long runs…and achieve my goal.